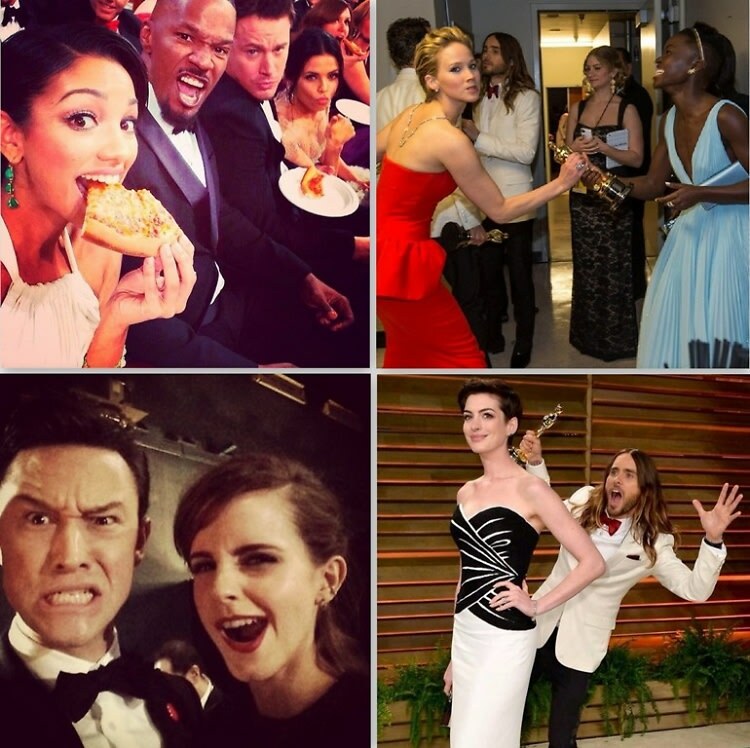 Last night's Oscars were full of shameless photo bombs, and who could forget the first-ever Oscars pizza party? If you didn't hear the news, Ellen's celebrity selfie broke the record for the most retweets ever, breaking Barack Obama's record and crashing Twitter. If we took away anything from the night, it's that Ellen Degeneres should host the Oscars every year. From Meryl Streep chowing down on a slice of pizza to amazing photobombs, click through for the night's best photos, including backstage footage of some of our favorite celebs!